When requesting more than one Mass, keep in mind we can schedule only one weekend mass and two weekday masses per year. Offered by REQUIRED Please fill out this field. Please enter valid data. Email (if available) Please enter valid data. #1 Mass Intention Requested For Please enter valid data. Desired Day & Time Please enter valid data. #2 Mass Intention Requested For Please enter valid data. Desired Day and Time Please enter valid data. #3 Mass Intention Requested For Please enter valid data. In this Sunday’s Gospel, teachers of the Law try to trap Jesus into defending a woman caught in adultery thereby breaking the Law. The crowd was prepared to stone the woman. Jesus foils the attempt by suggesting that anyone without sin can cast the first stone. He then refuses to condemn the woman and encourages her to change and grow by not sinning. Catholic Relief Services’ Lenten faith in action program, CRS Rice Bowl, will share the stories of migrants and refugees during the upcoming Lenten season. Young women like Annet, making new lives in the Bidi Bidi refugee settlement in Uganda. Fathers like Christyan, returning home to Sri Lanka after a brutal civil war. Teachers like Ona, unable to leave her home in Gaza in search of economic opportunities. Encounter these stories and more through free faith formation materials in English or Spanish available at crsricebowl.org/order. When people told Jesus about a group of Galileans killed by Pilate, he told the people that unless they repent, they will all likewise perish. To help them understand, he tells them a parable about giving a fig tree more time to grow fruit. If not, the tree would be cut down. Jesus teaches that God gives us every opportunity to grow closer to him. Cuando la gente le contó a Jesús sobre un grupo de galileos asesinados por Pilato, Jesús dijo a la gente que si no se arrepienten, todos perecerán del mismo modo. Para ayudarlos a comprender, les cuenta una parábola sobre darle a una higuera más tiempo para dar fruto. Si no, la cortará. Jesús enseña que Dios nos da muchas oportunidades para que nos acerquemos más a él. As difficult as it may be to believe it, Lent begins this week. Ash Wednesday is March 6. As we invite and guide the children in our care to prepare their hearts for Easter through age-appropriate increases in prayer, fasting, and almsgiving, we must give thought to our own Lenten preparation for Easter. If you tend to do the same thing every Lent, consider making a change or adding something new to your Lenten preparation. You might consider joining me in one of my go-to Lenten practices. Using the letters of Lent as an acronym—Let’s Eliminate Negative Thinking, I make an effort to be more positive throughout the season of Lent. Lent is a time for more intense training in following our Master. Jesus said, “[W]hen fully trained, every disciple will be like his teacher.” We pray it may be so! This Sunday’s First Reading tells the story of King Saul taking 3,000 men to find and kill David, his worst enemy. David walked into Saul’s camp in the middle of the night and found the ruler soundly asleep. He had the opportunity to kill him right there, but he didn’t. David spared the life of the man who was trying to end his, for he trusted that God would keep his promise to give him the throne of Israel. Forgiveness is never easy, particularly when the person who hurt us is someone close, like a family member. It can be easier to forgive someone we barely know. During his General Audience on November 4, 2015, Pope Francis said, “One cannot live without seeking forgiveness…especially in the family.” And then he adds: “the family is a great training ground for the mutual giving and forgiving without which no love can last for long.” Forgiving is not only something I do for someone else’s benefit, it is something that allows me to be free and be at peace. There is no such thing as a perfect family. God’s love must be the model of our love, just as his forgiveness should be the model and foundation of our forgiveness. If we forgive our family members, we witness to a God that forgives, a merciful God. Let us pray that we may love as God loves us and forgive as he forgives us, especially in our family. Amen. The Church celebrates Ash Wednesday on March 6 this year. Catholics receive ashes and recommit themselves to prayer, fasting, and sharing of resources. It’s a good time to review the rules for fasting and abstinence and share them with your families. 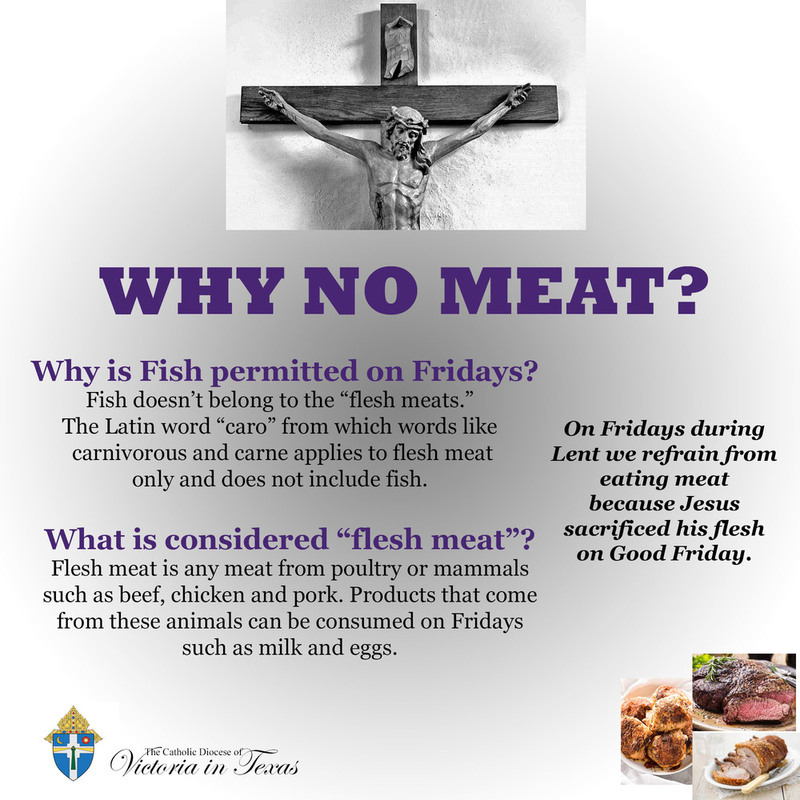 While most of the children are not required to observe these rules (the minimum age is 14), many families choose to make a Lenten sacrifice together. Discuss with the children what “giving up” things for Lent really means. We share in the suffering of Jesus and of others and become more mindful of those who lack. This Visions activity may be used with all ages as a review of the types of sacrifices Catholics make during Lent—prayer, almsgiving, or fasting. Make sure that the children understand that “almsgiving” does not mean that one must give money. Service is also a very acceptable gift. Brainstorm ways they may share their time and gifts. This Ash Wednesday Prayer Service for families provides time to write Lenten commitments and prayerfully begin this contemplative season. Things were clearly different in the 15th century. At just 11 years old, Frances of Rome announced that she was committing her life to God as a religious sister. Her family resisted, so Frances dutifully married at 13. But, along with her sister-in-law, Frances still found a way to live a life committed to serving the poor and the sick. Saint Frances of Rome is a model of service for children, especially during Lent. Her feast day is March 9. Like Saint Frances, Saint John of God is known for serving the sick. However, this patron of Catholic hospitals didn’t start out so saintly. He called himself a terrible sinner, an army man leading a wild life. Inspired by the teaching of Saint John of Avila, John of God launched headlong into a total conversion of his life. He punished himself severely for his sins until John of Avila encouraged him to put his efforts into helping others. Share the life of Saint John of God with your children. His feast day is March 8.